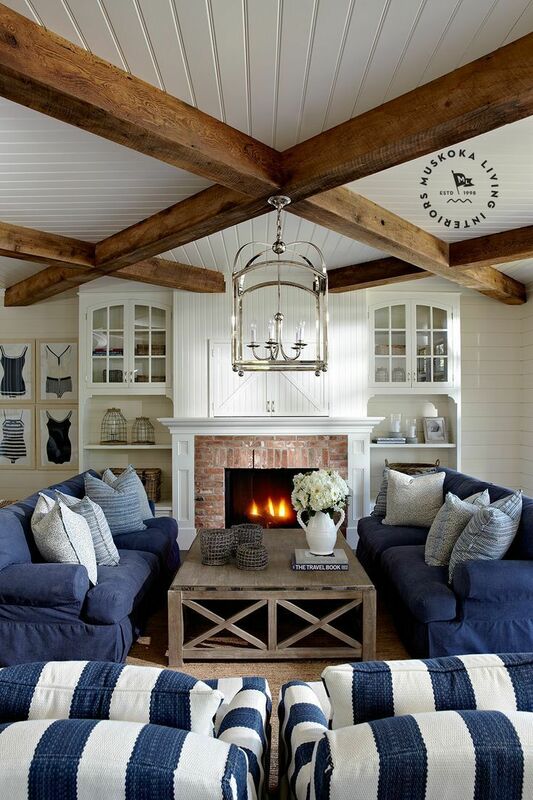 I believe I have wanted a denim sofa ever since I saw this image from a Pottery Barn catalog many many years ago. Do you remember it? Even though this is from perhaps almost a decade ago, the look is still modern and cool today. 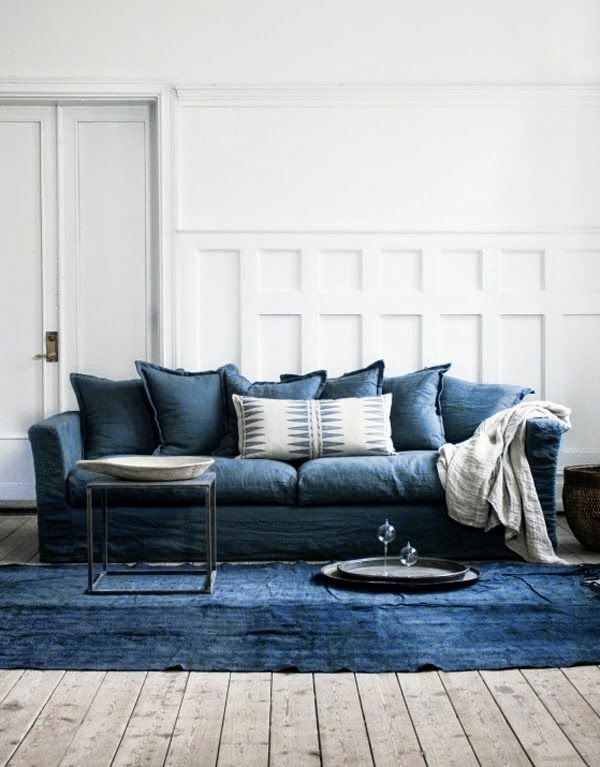 I think denim is such a classic textile that will never go out of style. 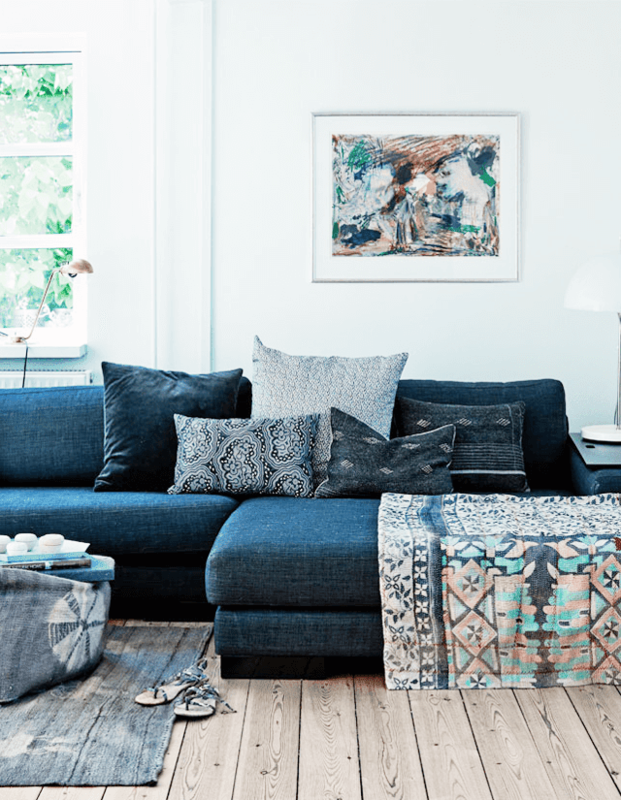 Here are a few more denim sofas that have me convinced I need one too. 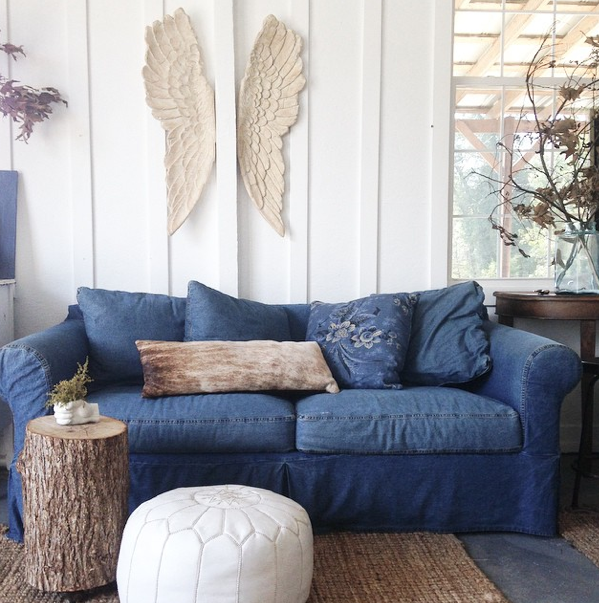 I HAVE A DENIM SOFA. I GOT IT FROM ROOMS TO GO THE FURNITURE STORE, IT'S A SLIP COVER ALSO. IT'S VERY STURDY AND DURABLE. IT'S HOLDING UP VERY WELL WITH 2 DOGS AND 2 CATS AND MANY FAMILY FUNCTIONS. I JUST TOSS IT IN THE WASH WHEN IT NEEDS REFRESHING. I HAVE NO REGRETS IT HAS NOT FADED OR STRETCHED OUT. That's so great to hear. Thanks for sharing! 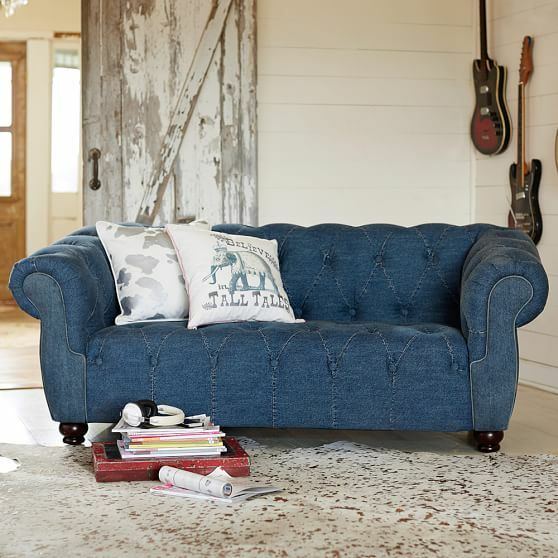 Before my hubby and I got married, over 30 years ago, he had a quaint Tudor cottage in the hip neighborhood near downtown, and guess what, he had a denim sofa. 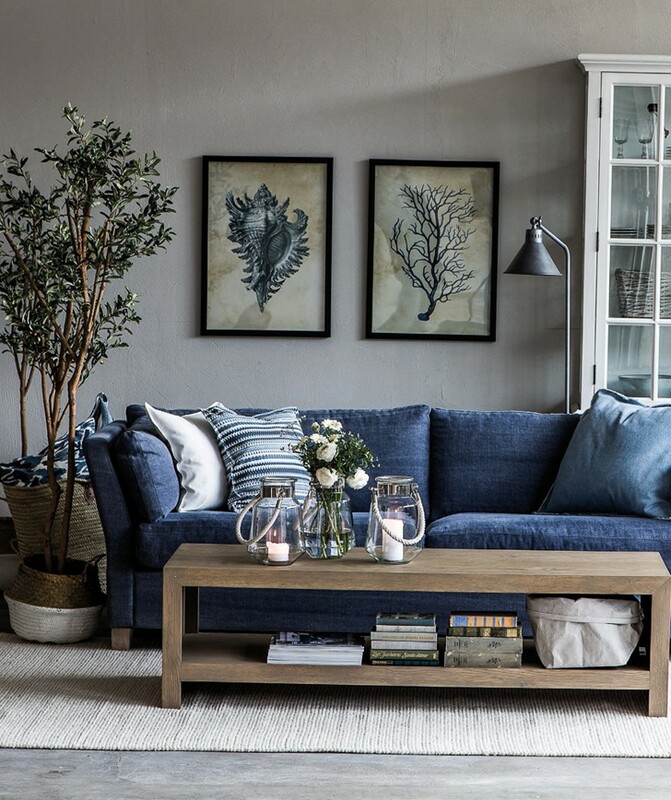 He definitely checked all the boxes, including the denim sofa! 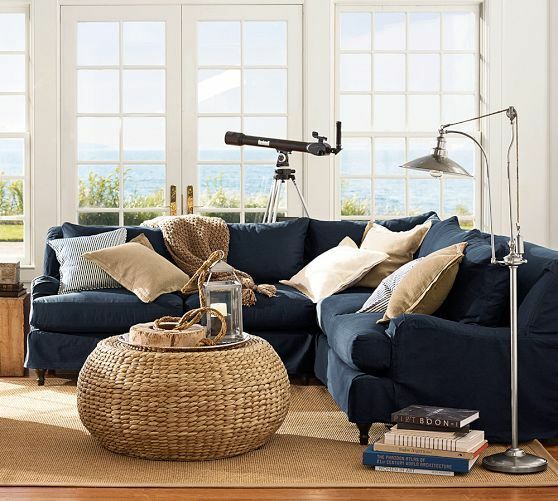 It's long gone now, but your post got me thinking.....can't wait to see how your love affair with a denim sofa turns out.